This is a two-volume guide book and we plan to release it online. The first volume is a manual with some details of early stages and will be distributed before the upcoming release of La-Mulana. The second volume is a strategy guide which is inclusive of the final stage and will be distributed with a fee via Internet after the release of La-Mulana. Although this is a strategy guide, take note that it only gives you hints and does not show how exactly you can solve puzzles. We would like you to experience more than just a world of La-Mulana through these extra items. We will also distribute the pay version of the first volume (the release date will be slightly delayed). Proceeds from this version will be donated to Northeast Japan Relief. In Japan, some companies, through voluntary self-restraint, have postponed their game release date. We sincerely hope that we could contribute to Japan’s reconstruction through La-Mulana (even if it’s just a tiny bit of help), given the circumstance that its release date coincidentally overlaps with Japan’s disasters. Yeah, I didn’t see any falling down in the PV #0, so I was worried. Still really curious about the Lost Forever items, though. Will this guide be available in English? It looks great so far! They confirmed that the shrine maidens were in awhile ago. I think one of the livestreams they did shows them off. But since that was recorded before (what I assume is) the final version of the game, you may not want to take my word on it. I’ll definately be buying both guides. I can support one of my favorite games and help a good cause at the same time! Thanks for giving this opportunity to your fans! Mucha suerte,y animo con la situacion de su pais.Sobre La Mulana….I can’t wait!!! I have a few questions about the gampelay. 1) Will breakable walls be more distinguishable? Or will it be that walls you’re absolutely not supposed to hit have something sacred drawn on them? 2) Will the Mace, Chain Whip, and Field 9 Life Jewel continue to be Lost Forever if you mess up? 3) The Tower of the Goddess was always a frustrating level for me. I think there were only a few frames to hit the walljump and bats flying all over, when the scenery showed that it has a spiral staircase around it. Will it work like a staircase this time, or will you still have to hit the walljumps? 4) Are the sacrificial maidens kept in, or replaced by something “less gorey”? I’m a fan of game content being kept as close to the original as possible when developing a remake, but I’d just like to hear what’s going to happen to these. This is awesome, and it’s cool that you’re donating the proceeds to charity. You’ve got my money. The game seems much more suited for a console release (although a mobile version would be welcomed). One question I have is how will the announcement of Nintendo’s new console affect the release of La-Mulana? Will the game continue to be a Nintendo only exclusive, even though interest seems to be shifting away from the Wii? Will Nigoro consider releasing the game on other platforms (PSN, XBLA) to reach a larger market? If so, have plans been put into motion. Also, will Nigoro be attending E3 this year? Well, not one word about when the actual game will be released? People want to know when they’ll be able to buy the g a m e.
So by “sorted out everything”, you mean Nintendo’s finally approved it and it’s ready to hit the Wii Shop Channel? Also, is this guidebook going to be available in English? If so, is Nicalis going to handle the translation, or is it going to be done in-house? What are the chances that this guide will be made available in print later? I might buy it just to support the Japanese relief efforts. Does BlackBerry Playbook support PDF file? 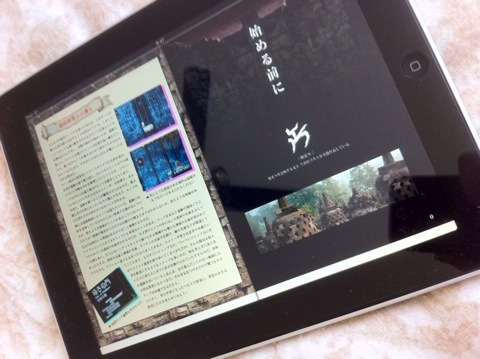 If it is yes, you can read guide book. In addition to the massive amounts of DO WANT, this guide will also help contribute to the Japan relief?! That’s awesome! Is the guide going to be distributed on the BlackBerry Playbook?